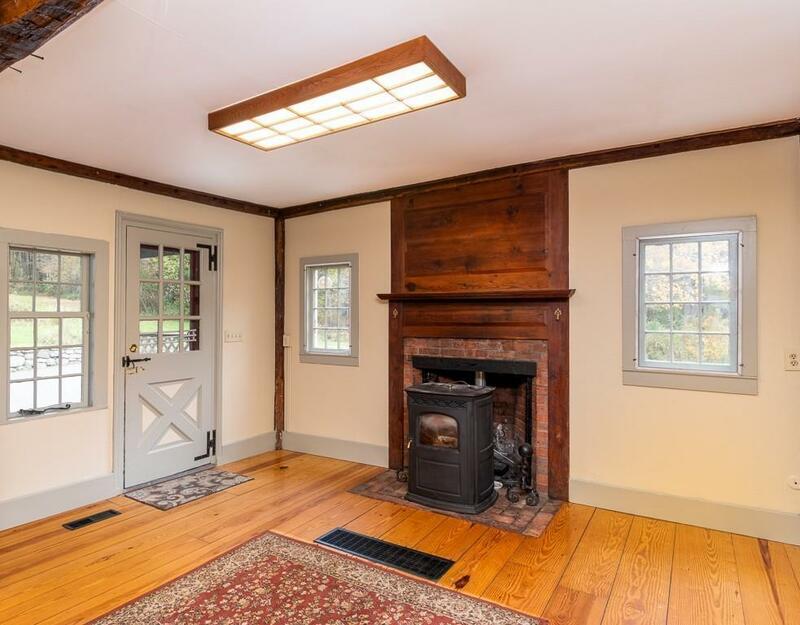 Spectacular 4+ bedroom, 3 full bath, handsomely restored 18th Century, center chimney Antique Colonial with 5 wood burning fireplaces! Comfortable blend of antique charm with modern amenities. Features include wide plank wooden floors, french doors, wainscoting, many built-in cabinets and display shelving and base cabinets. Spacious, sunny eat-in kitchen has large center island, stainless steel appliances, fireplace, windows on three sides, and access to porches front and back. Updated mechanicals include electrical service, newer roof and newer furnace. Two staircases to second floor. Second floor landing is large enough for an office or sitting area. Walk-up attic has skylights and built-ins. Basement is clean, has good ceiling height, spacious workshop and plenty of room for storage. Gorgeous 3.5+ acre lot with designer brick patio, pond, field stone walls, an Adirondack and fire pit. Additional acreage across the street is available for purchase. Shown by appointment. 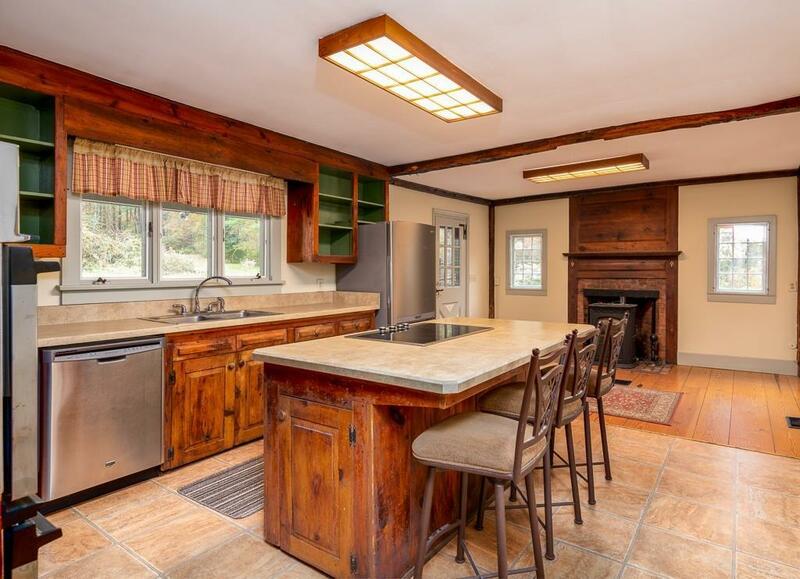 Listing courtesy of Roberta Orenstein of William Raveis R.E. & Home Services. Disclosures Additional Land Available For Sale Directly Across The Street From Property. 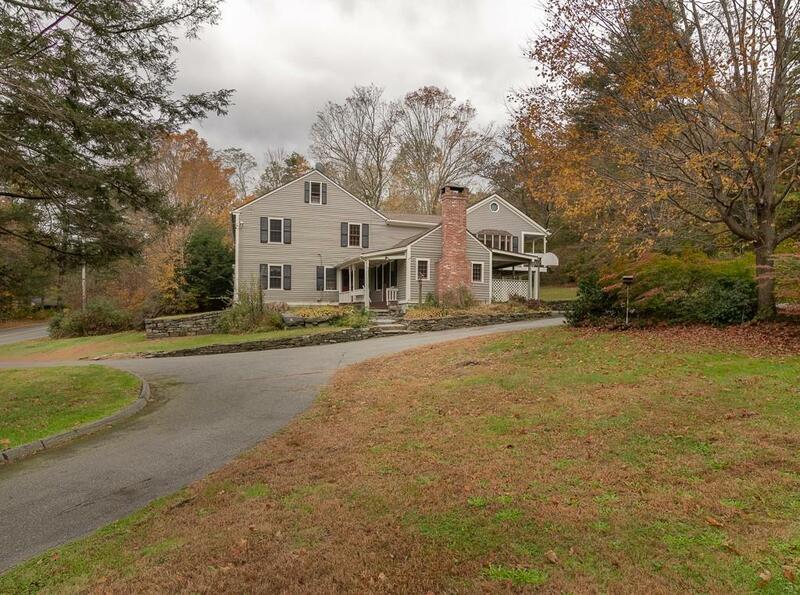 Listing provided courtesy of Roberta Orenstein of William Raveis R.E. & Home Services.